Siberia Experience: The Siberia Wilderness Experience continues to be one of the Luxury Adventures favourite activities, in terms of experience and value for money. This adventure runs from Makarora, a 50 minute drive from central Wanaka where you board a helicopter and fly over the Mt Aspiring National Park into the Siberia Valley, with stunning views of glaciers, snow capped mountains, glacier lakes and crystal clear rivers. Landing near the Wilkin River, you take a self guided hike of around 8km. It’s a relatively easy hike with one climb, offering amazing views, native bush, and birdsong. 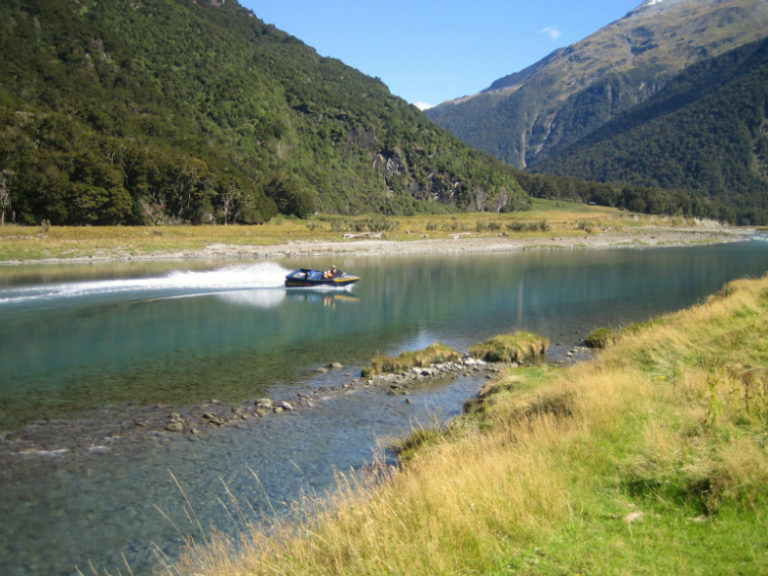 At the end of the hike you are met by jet boat for a thrilling and scenic ride on the Wilkin and Makarora Rivers, you can also upgrade the adventure and include a private river side BBQ, extend the helicopter flight or make the trip exclusive. Talk to our team about the options open to you. 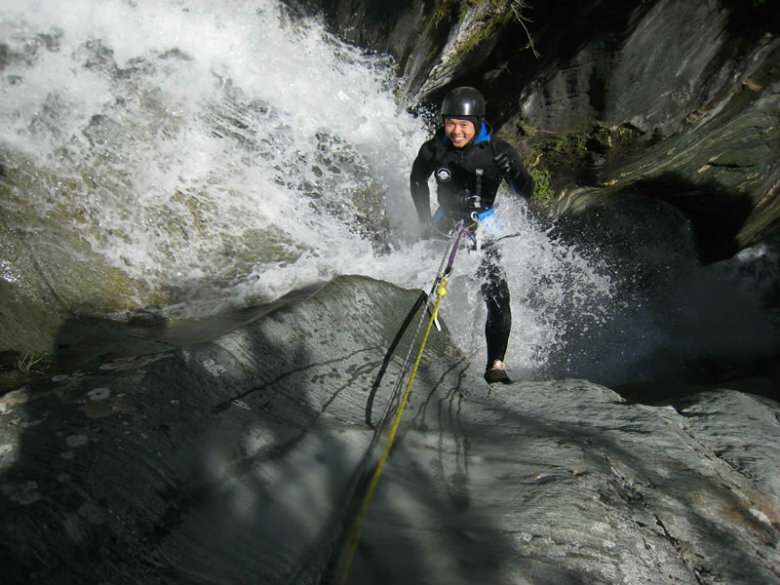 Canyoning Wanaka: Wanaka offers some world class canyoning options, in the heart of the Mount Aspiring National Park. From beginners to the more experienced, there are several options to suit all levels. Canyoning trips include, abseiling, ziplining, jumps and slides, where you’ll see amazing rock sculptures, native forest and emerald pools. Which option you choose comes down to your personal fitness level, previous experience, your love of adventures, and time available. Luxury Adventures work with experienced guides only and we will discuss on your behalf which canyoning option would be suited to your individual requirements. 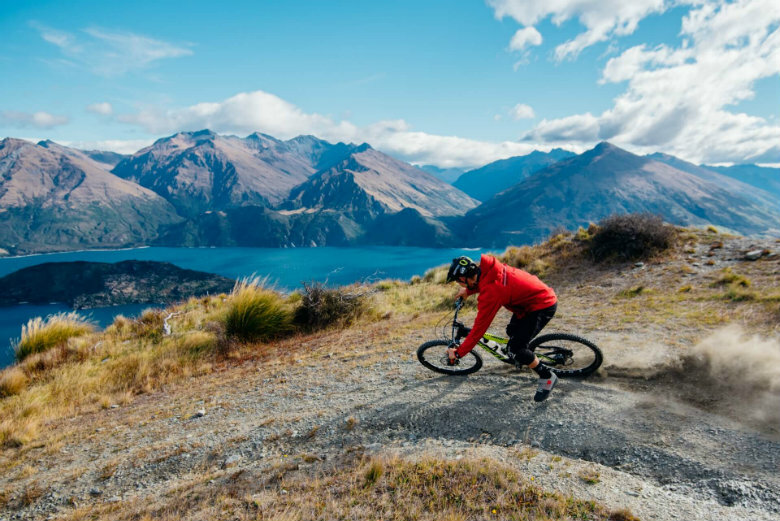 Biking in Wanaka: Wanaka is an awesome playground for cycling. There is biking options for all levels, from stunning river trail rides, road rides, and the winery trails to E-bikes or back-country mountain biking. Luxury Adventures works with local guides who know the trails – we can set you up with bike rental, maps etc and you can explore on your own, or alternatively we can arrange a guide to show you the trails, whether that’s easy, chilled riverside trails, forest tracks or back country mountain biking. Guided tours can be group or private. There are also options to take a boat ride across the lake to explore some fantastic single trails with beautiful scenery. 4WD Safari Adventures: A great way to get off the beaten track and see some of the real Wanaka, accessing some secret spots known only to the locals. Experience stunning views and visit high country farms with red deer, sheep and cattle intertwined with crystal clear rivers, streams and snow capped mountains. Visit sites of historical and cultural reference with our knowledgeable local guides. 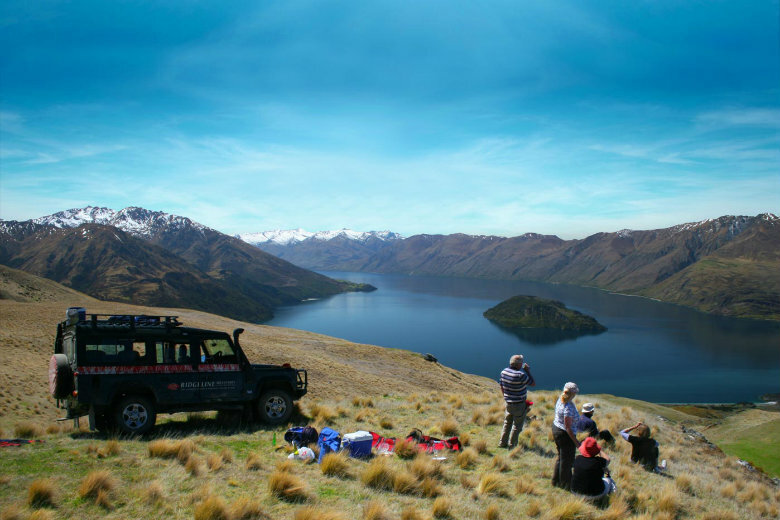 There are a variety of 4WD options, we can arrange private romantic mountain top picnics, combining a 4WD with a helicopter flight, a cruise on Lake Wanaka, jet boat ride, or a guided hike. We can also arrange guides that have specialist knowledge of local history, photography, farming or wine if you have a particular interest. Talk to the Luxury Adventures team to include a 4WD safari into your itinerary. 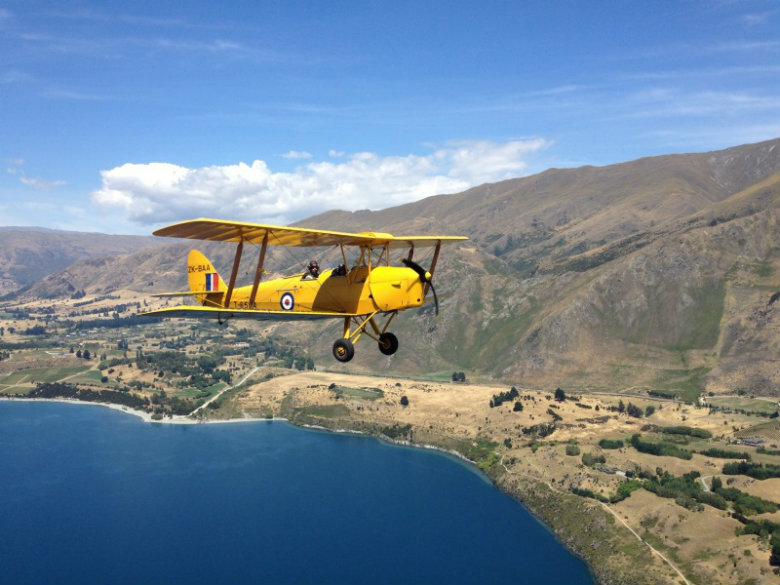 Up in the Air: Wanaka has its own airport, mainly used for recreational flights, and the base for the famous War Birds annual air show. With the Mt Aspiring National Park, Milford Sound and the lakes of Wanaka and Hawea, there is no shortage of spectacular views to see from the air. There are helicopter flights to Milord Sound, the glaciers and Mount Cook. Try your hand at Parasailing or hang gliding, you can even try flying yourself in a vintage biplane, such as an old Tiger moth. See Wanaka from a different perspective and take to the air!